Below you can view all the homes for sale in the Willow Creek Estates subdivision located in Covington Georgia. Listings in Willow Creek Estates are updated daily from data we receive from the Atlanta multiple listing service. To learn more about any of these homes or to receive custom notifications when a new property is listed for sale in Willow Creek Estates, give us a call at 404-998-4152. The 3rd Story Has 2 Additional Bedrooms & A Living Space. Over-Sized Covered Rear Porch! MLS#6519664. 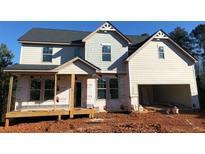 Keller Wms Realty Atl Metro E.
All On A Full Daylight Basement. ** Stock Photos ** MLS#6511987. Keller Wms Realty Atl Metro E.
All On A Full Daylight Basement. ** Stock Photos ** MLS#6512002. Keller Wms Realty Atl Metro E.
Over-Sized Covered Rear Porch! Stock Photos MLS#6511896. 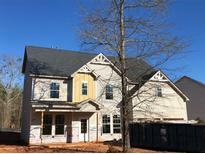 Keller Wms Realty Atl Metro E.
**Stock Photos** Click Link To See Immersive 3D Tour Of Similar Plan By Builder. MLS#6511919. Keller Wms Realty Atl Metro E.
Over-Sized Covered Rear Porch! Stock Photos MLS#6505879. Keller Wms Realty Atl Metro E.